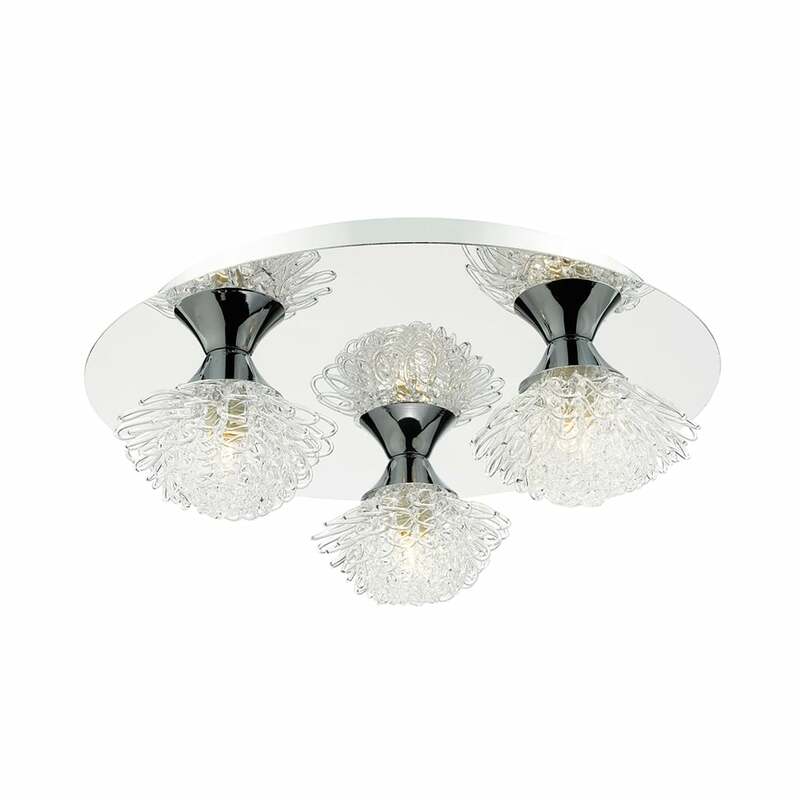 Dar Lighting Esme 3 light flush ceiling fititng features a large polished chrome finish ceiling plate with 3 delicate hand spun clear glass shade in the likeness of flowers. This pretty flush fitting provides sparkling display of light and the gleaming, polished chrome back plate, reflects the light perfectly for any room within your home. Especially suitable for rooms with low ceilings. This product code is ESM5350. The Esme range has a matching single light wall fititng, to complete the look, which can be viewed on our website.